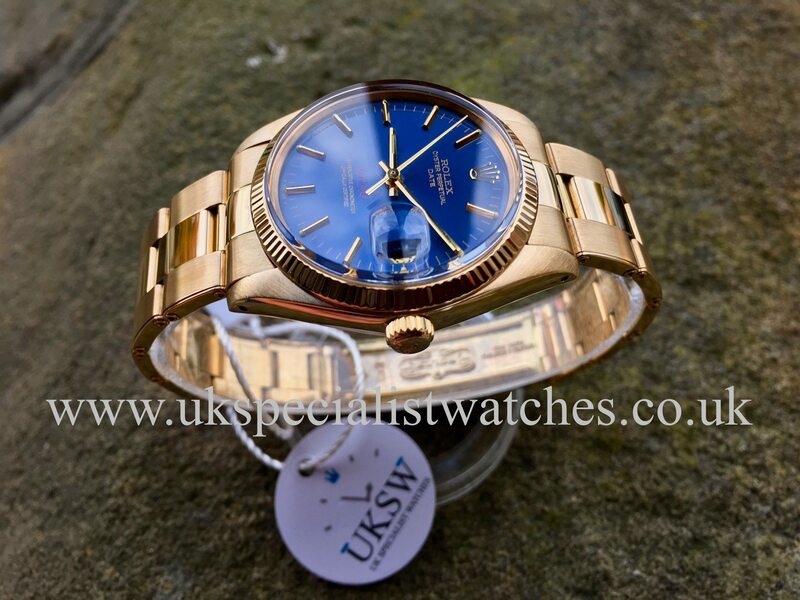 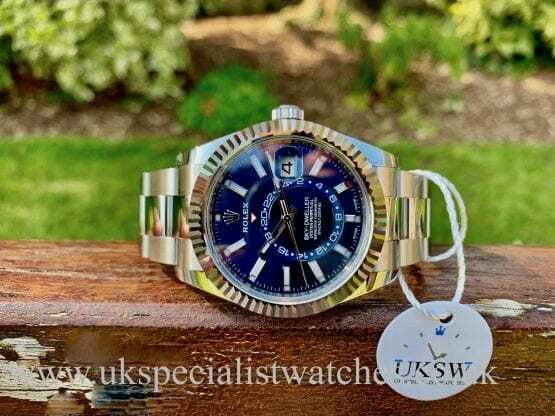 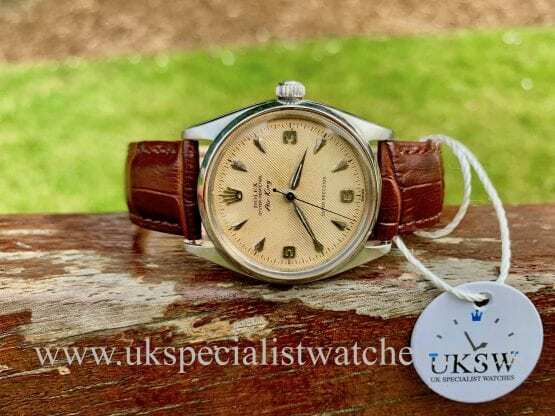 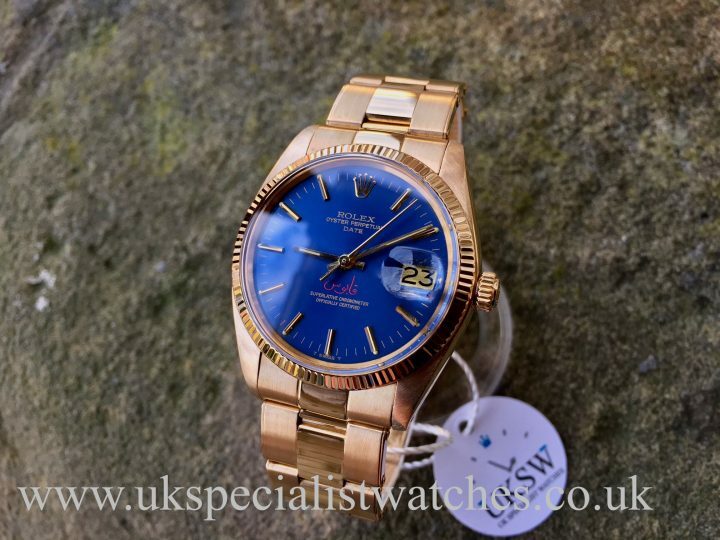 Rolex Datejust 1503 Sultan Of Oman – Qaboos vintage 1978. Solid 18ct Yellow Gold case, super sharp 18 ct gold fluted bezel and the exceptionally rare blue Qaboos Sultan of Oman dial with gold baton hour markers and hands. 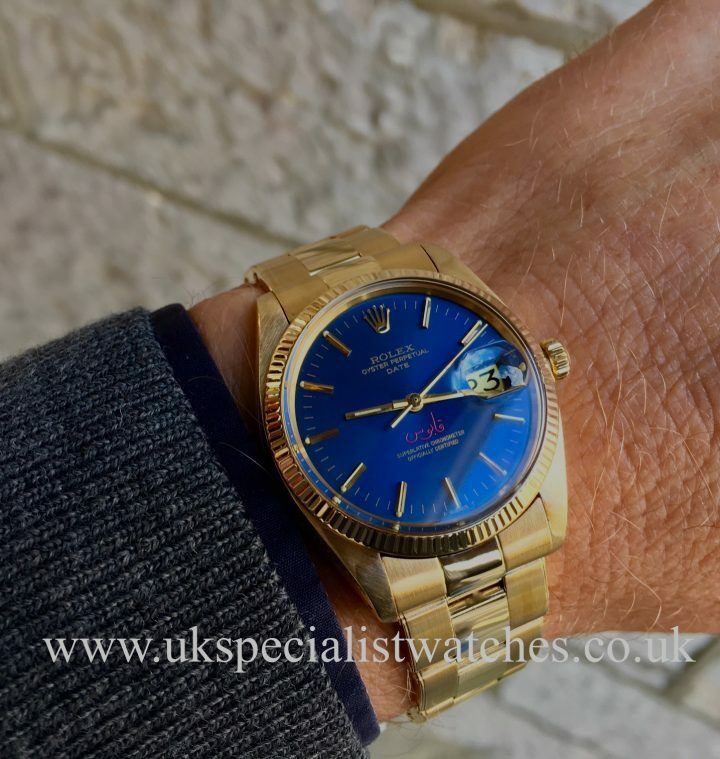 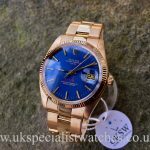 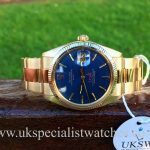 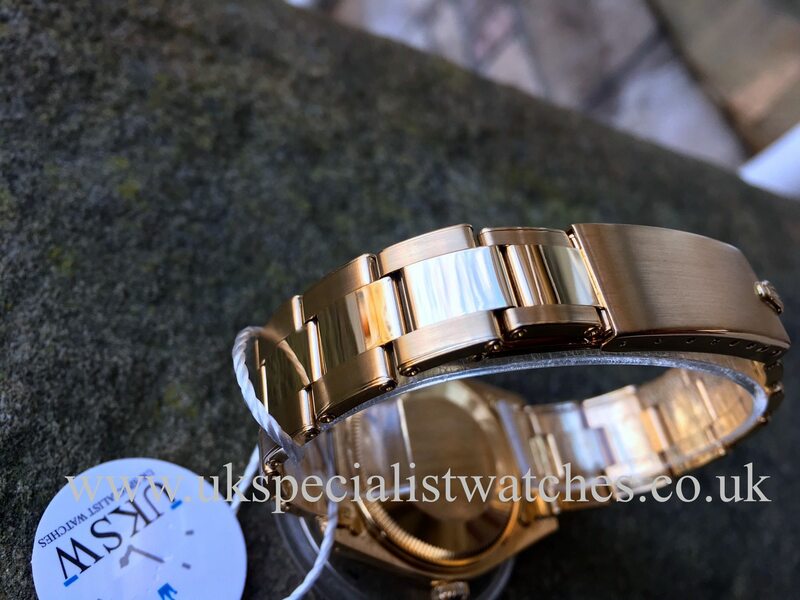 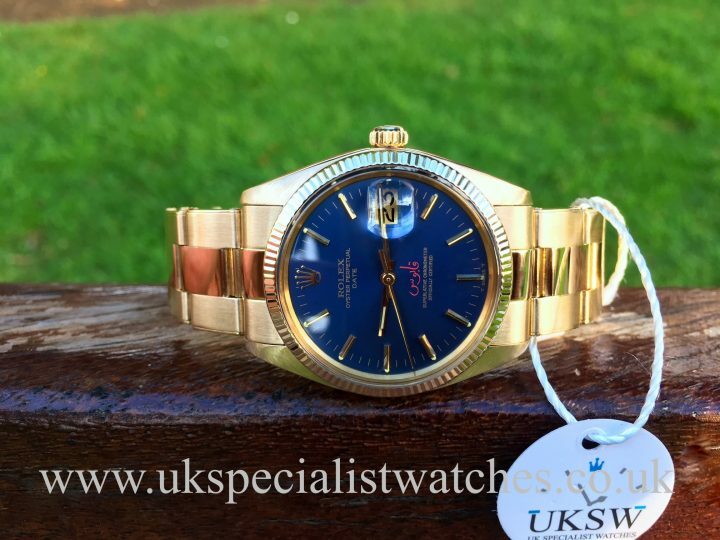 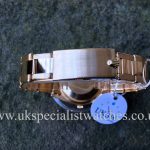 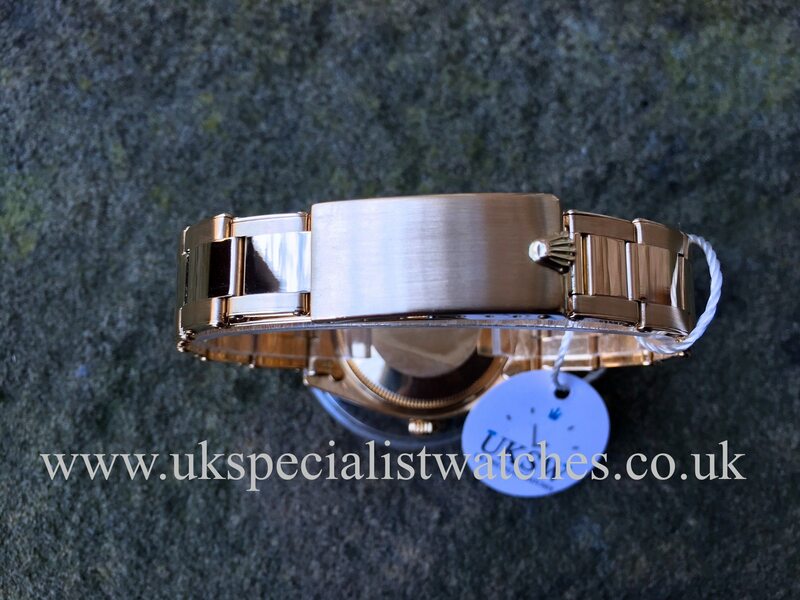 Fitted to a completely immaculate and un-stretched riveted 18ct yellow gold Oyster bracelet with double folding clasp still with a untouched raised Rolex crown! The Arabic script above the 6 0’clock position means “Qaboos”. 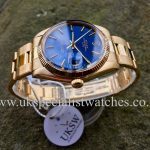 This is the current Sultan of Oman called “Qaboos bin Said al Said“. 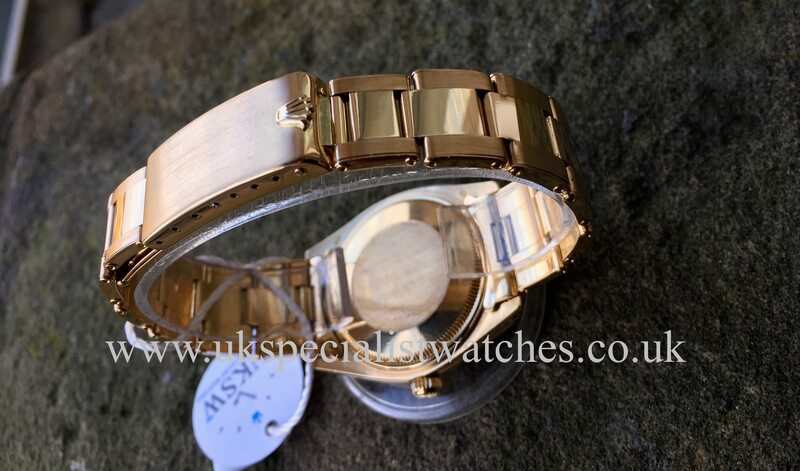 This extremely rare watch was produced only at his request as gifts for service members such as police and military. Our totally pristine example seems to be the only blue dial date just version to view on the internet. 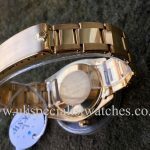 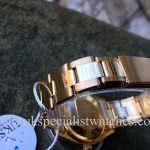 This virtually unworn piece is in unbelievable condition and is a very powerful investment! 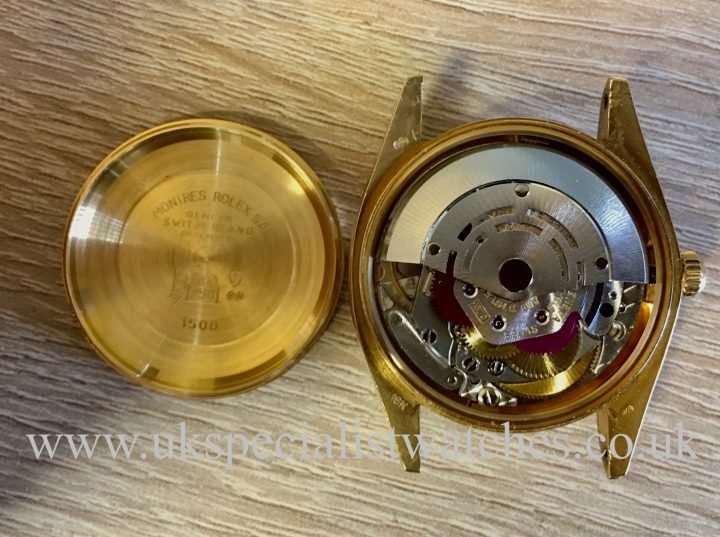 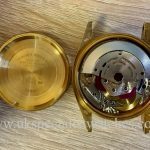 A vintage Rolex Daytona with this same inscription on the dial recently sold at auction for over £600,000!